Chase Rabourn, Digital Marketing Manager at Medical Consulting Group, is awarded for going above and beyond to serve his community and the Rotaract Club of Springfield. 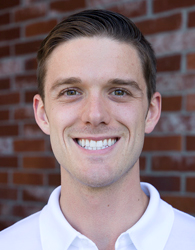 Medical Consulting Group(MCG), a medical business solutions consulting firm based in Springfield, Missouri, recognizes one of its own, Chase Rabourn, for receiving the “Member of the Year Award” from the Rotaract Club of Springfield. This award acknowledges his significant participation in a service club designed not only to connect professionals under 30 but also to address the needs of local children at Great Circle, as well as other local nonprofit organizations, and to promote better relations between people through a framework of friendship and service. As digital marketing manager at MCG, Mr. Rabourn specializes in social media management, content creation, and online presence analysis for all MCG clients. Because of this background and proven dedication, the Rotaract club of Springfield has also appointed Mr. Rabourn to Director of Public Relations, a role familiar to him in which he will manage the Club’s website, Facebook presence, and email platform. The medical business solutions provided by Medical Consulting Group for nearly 30 years include ASC and practice consulting, development, and management, as well as compliance oversight and revenue cycle management. They also specialize in custom multi-media marketing and advertising campaigns, including co-op consumer marketing management. These services are the product of decades of immersion in the ophthalmic and healthcare business industry, among various other medical specialties. Learn more at MedCGroup.com.